release in the coming months. We’ve already covered the Lionsgate and Universal releases. Today We’re going to talk about the short but sweet slate of releases coming from Summit Entertainment. Fair Game – I know what you’re thinking and no this isn’t a remake of the classic Fair Game with Cindy Crawford and Stephen Baldwin. Directed by Doug Liman (The Bourne Identity) Fair Game is about the Washington fallout when Valerie Plame, an employee of the CIA, had her name leaked to the press because of political reasons. This is a movie I can see being a contender for one of the 10 Best Picture slots. 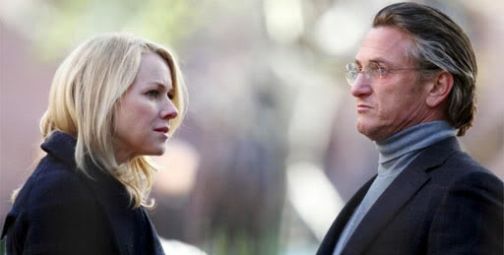 Politically charged films usually have a leg up on the rest of the competition, plus Naomi Watts and Oscar veteran Sean Penn are starring. Red – Retired and Extremely Dangerous. That’s what “Red” stands for. I can say right now that I’m pretty much excited for any movie that features Helen Mirren blowing people away with a giant machine gun. Retired assassin Frank Moses (Bruce Willis) has to assemble his old team to stay alive once the agency comes after him. Other stars include Morgan Freeman, John Malkovich, and Mary Louise-Parker. This looks like a really fun movie that doesn’t take itself too seriously. I for one am looking forward to it. Only two films to speak of for Summit Entertainment, but they both seem like they’re going to be good. Are you excited for both? Only one? Neither? Let us know.